The Federal Emergency Management Agency (FEMA) has seen through the smokescreen that native plant advocates have created as a pretext for destroying non-native trees in the San Francisco Bay Area. Native plant advocates claim that destroying non-native trees will reduce fire hazard. As taxpayers, and as fans of all trees, we commend FEMA for preserving their limited resources for legitimate disaster mitigation. 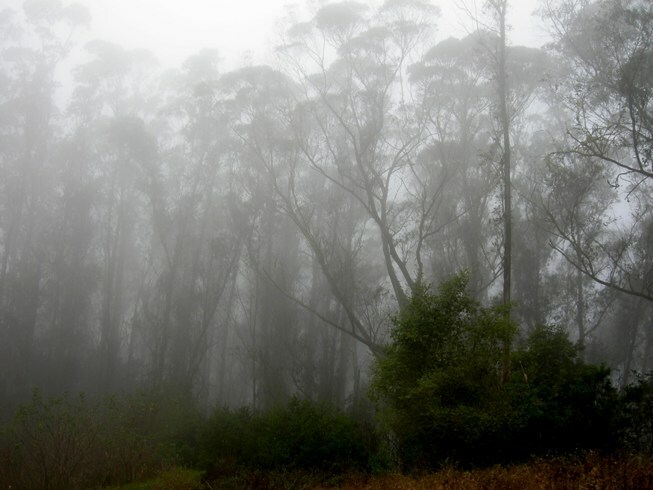 In February 2010, UC San Francisco (UCSF) announced that it had withdrawn its application for FEMA funding to destroy most of the eucalypts on 14 acres of the Sutro Forest. When making that announcement UCSF explained that FEMA would require a comprehensive Environmental Impact Study before the grant would be awarded which would result in a two-year delay in the implementation of the project. UCSF preferred to pay for the project with its own funds rather than delay it during the environmental review. Therefore, UCSF withdrew its application for FEMA funding. Since then, UCSF has proceeded with its plans, expanding them to 40 acres, and continues to claim that there is extreme fire hazard in the Sutro Forest which it claims will be mitigated by the project. Eliminating the windbreak that the tall trees provide has the potential to enable a wind-driven fire to sweep through the forest unobstructed. UCSF has elected to ignore this advice from FEMA, choosing instead to proceed with its project as originally designed using its own funds at a time of extreme budgetary limitations. Clearly this is an indication that fire hazard mitigation is not the purpose of their project. UCSF chooses to increase fire hazard rather than reduce it, putting themselves and their neighbors at risk. The loss of tall trees will reduce moisture on the forest floor and eliminate the shade that maintains that moisture. The remaining native landscape will be predominantly grassland studded with scrub, chaparral, and short native trees in sheltered ravines. This will be a flammable landscape, not less flammable than the existing landscape. The loss of the windbreak provided by the tall trees will enable a wind-driven fire to travel unhindered through the community. The projects in the East Bay hills do not provide defensible space around homes, which would reduce fire hazard to homes and those who live in them, the stated purpose of FEMA grants. We hope that FEMA will see the similarity between the East Bay projects and those in San Francisco and advise the applicants in the East Bay to revise their projects so that they are appropriately aimed at creating defensible space around homes. Destroying hundreds of thousands of trees will not make us safer. In fact, it is likely to increase the risk of wildfire.